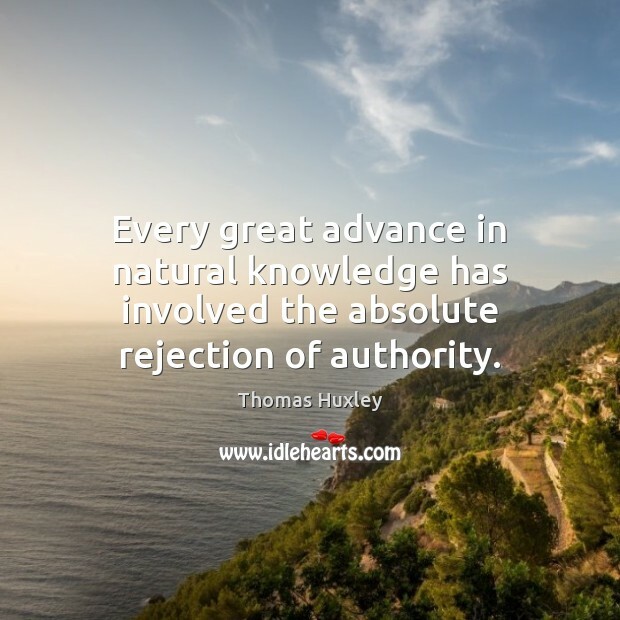 Quotations about Authority Figures. Quotes to stimulate mind and drive action! Use the words and quote images to feed your brain inspiring things daily! 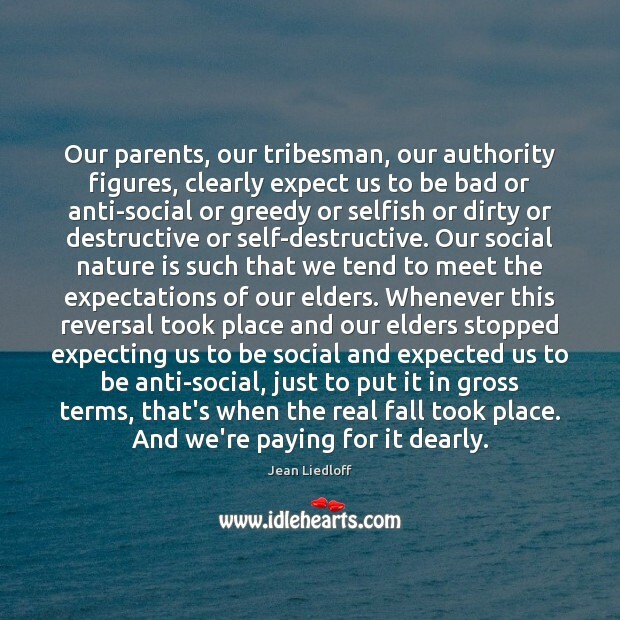 Our parents, our tribesman, our authority figures, clearly expect us to be bad or anti-social or greedy or selfish or dirty or destructive or self-destructive. Our social nature is such that we tend to meet the expectations of our elders. Whenever this reversal took place and our elders stopped expecting us to be social and expected us to be anti-social, just to put it in gross terms, that's when the real fall took place. And we're paying for it dearly. 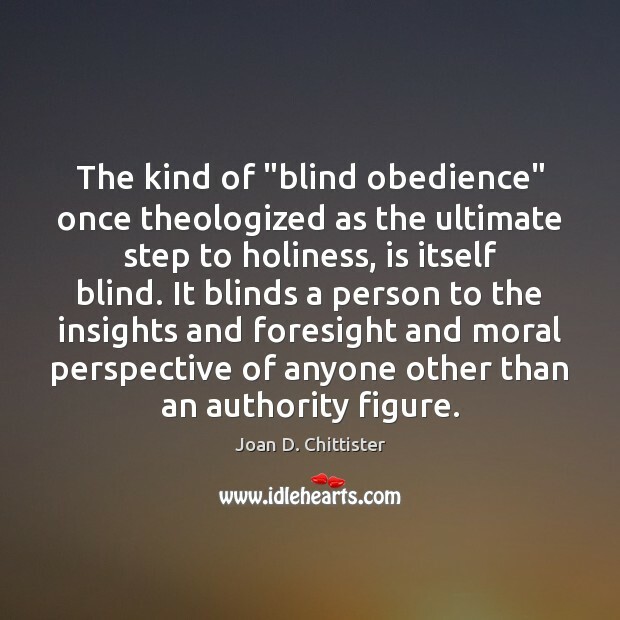 The kind of "blind obedience" once theologized as the ultimate step to holiness, is itself blind. It blinds a person to the insights and foresight and moral perspective of anyone other than an authority figure. It can be tempting to blame others for our loss of direction. 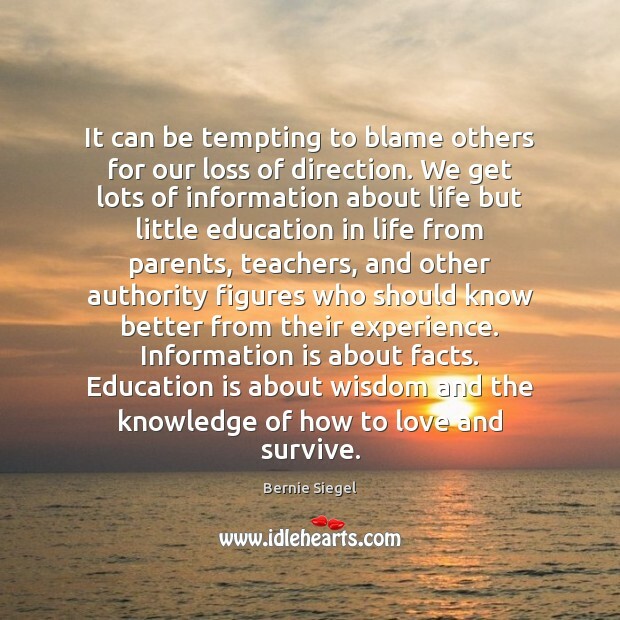 We get lots of information about life but little education in life from parents, teachers, and other authority figures who should know better from their experience. Information is about facts. Education is about wisdom and the knowledge of how to love and survive. Find your true path. 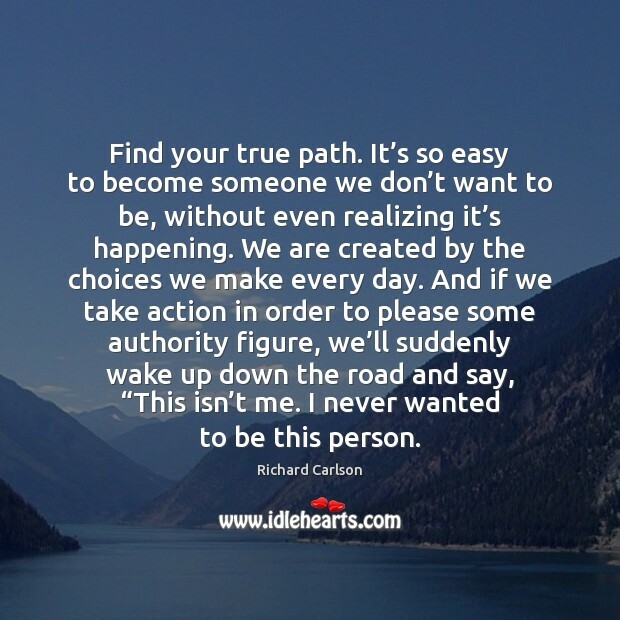 It’s so easy to become someone we don’t want to be, without even realizing it’s happening. We are created by the choices we make every day. 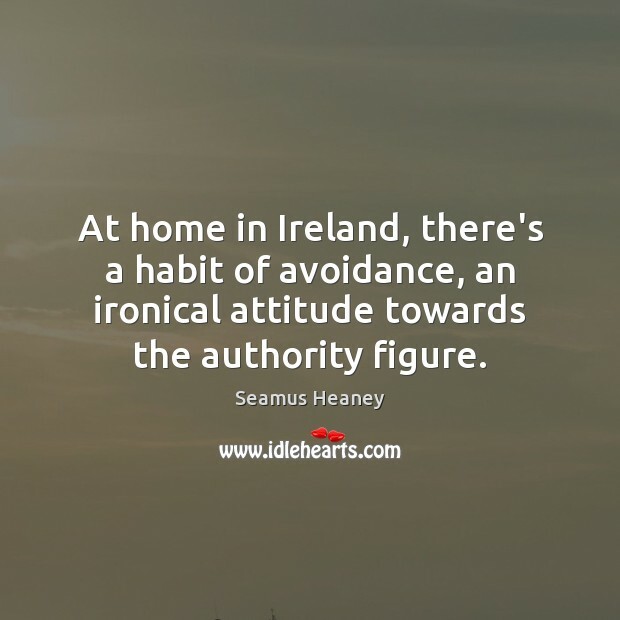 And if we take action in order to please some authority figure, we’ll suddenly wake up down the road and say, “This isn’t me. I never wanted to be this person. I had to take responsibility, even if it meant saying no to an authority figure, because I was the authority on me. So to me, what the drugs and addiction are saying is that I deserve to feel good, I'm allowed to take this because look how I was treated as a child. Our authority figures, particularly our parents are hypnotic. 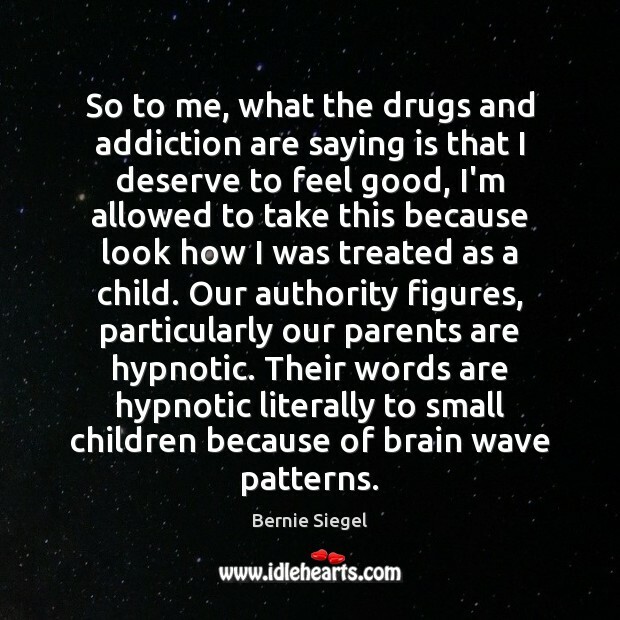 Their words are hypnotic literally to small children because of brain wave patterns. 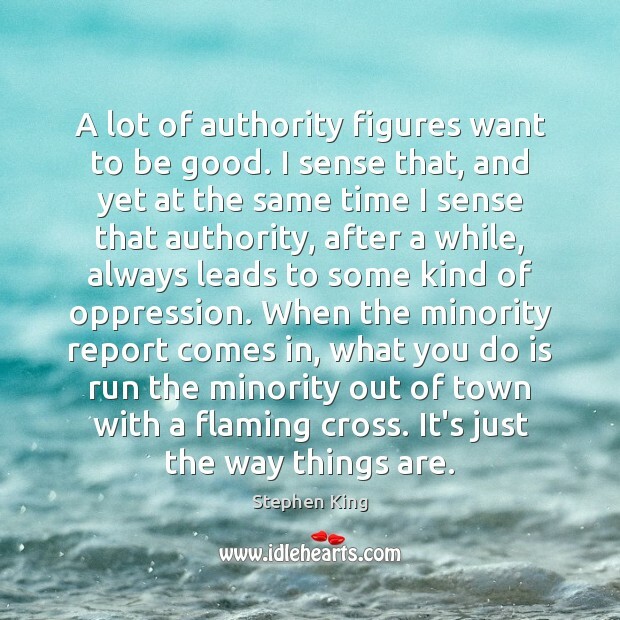 A lot of authority figures want to be good. I sense that, and yet at the same time I sense that authority, after a while, always leads to some kind of oppression. When the minority report comes in, what you do is run the minority out of town with a flaming cross. It's just the way things are. 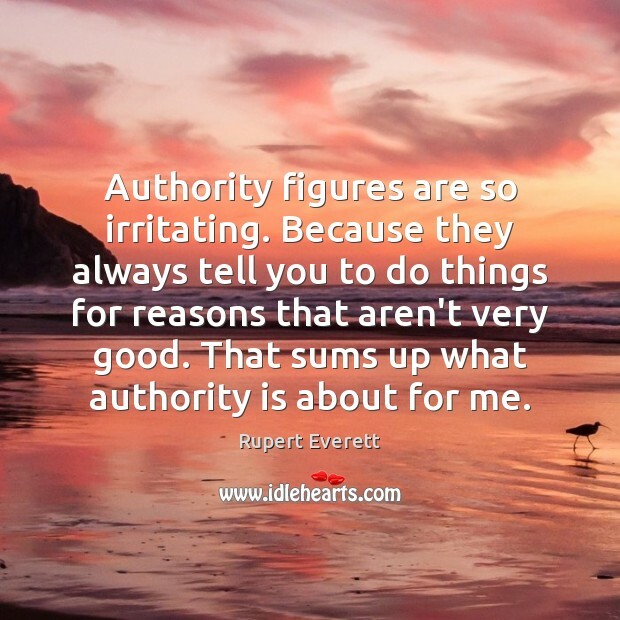 Authority figures are so irritating. Because they always tell you to do things for reasons that aren't very good. 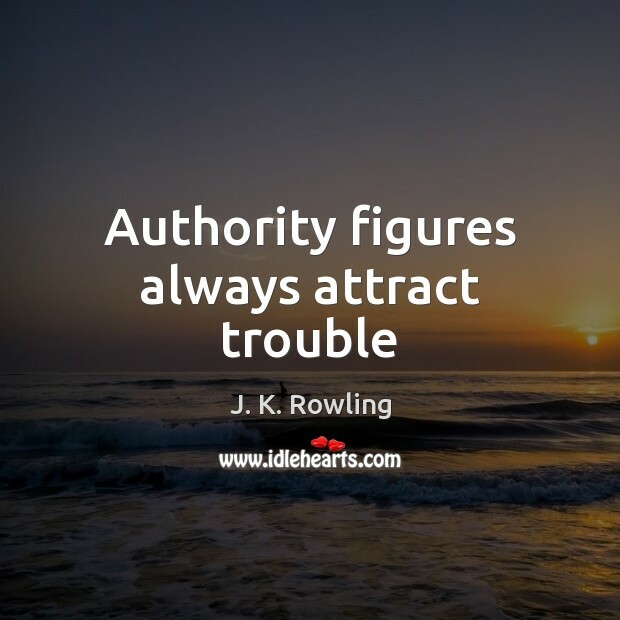 That sums up what authority is about for me. 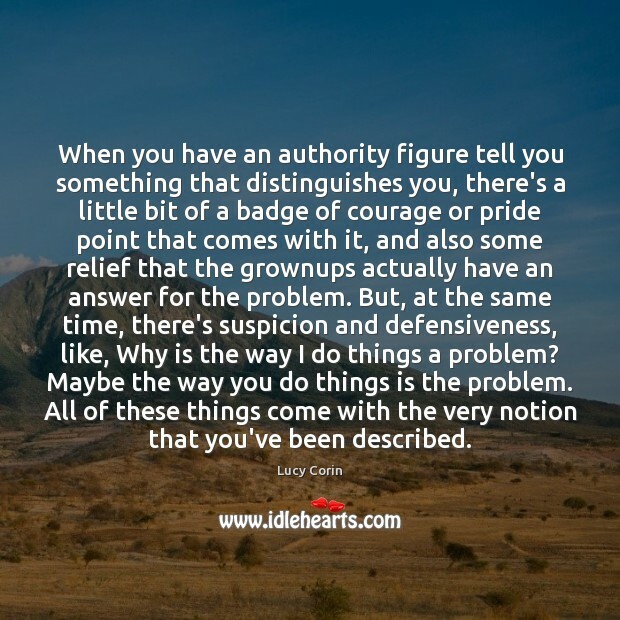 When you have an authority figure tell you something that distinguishes you, there's a little bit of a badge of courage or pride point that comes with it, and also some relief that the grownups actually have an answer for the problem. But, at the same time, there's suspicion and defensiveness, like, Why is the way I do things a problem? Maybe the way you do things is the problem. All of these things come with the very notion that you've been described. 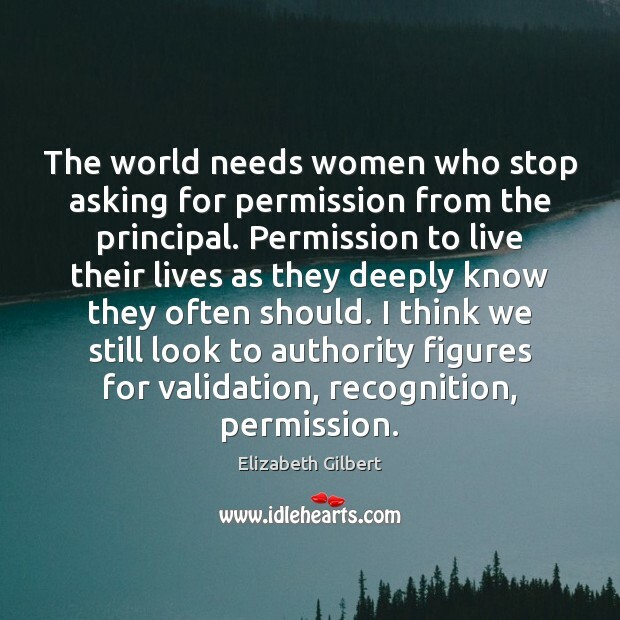 The world needs women who stop asking for permission from the principal. Permission to live their lives as they deeply know they often should. 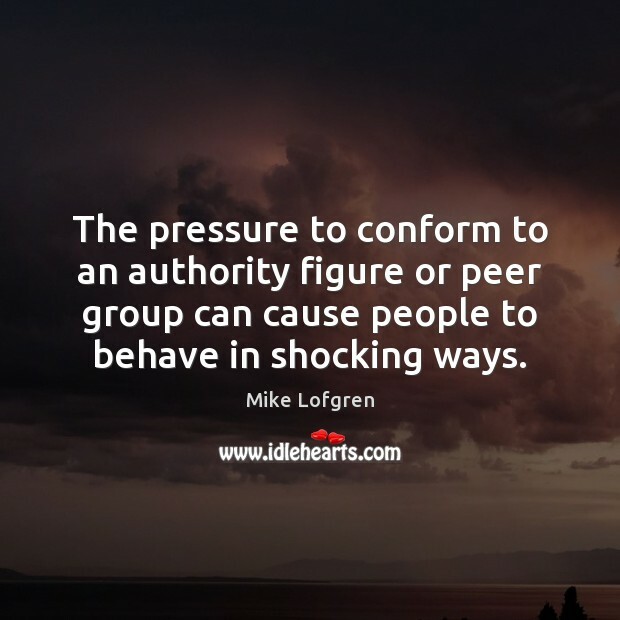 I think we still look to authority figures for validation, recognition, permission. 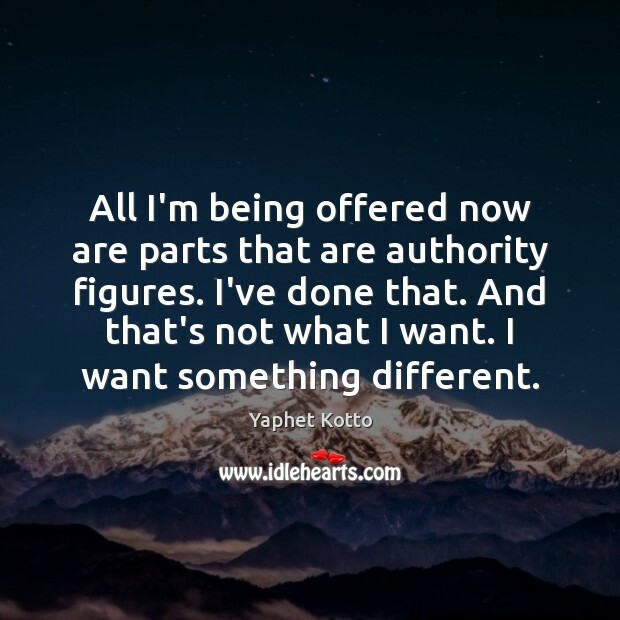 All I'm being offered now are parts that are authority figures. I've done that. And that's not what I want. I want something different. 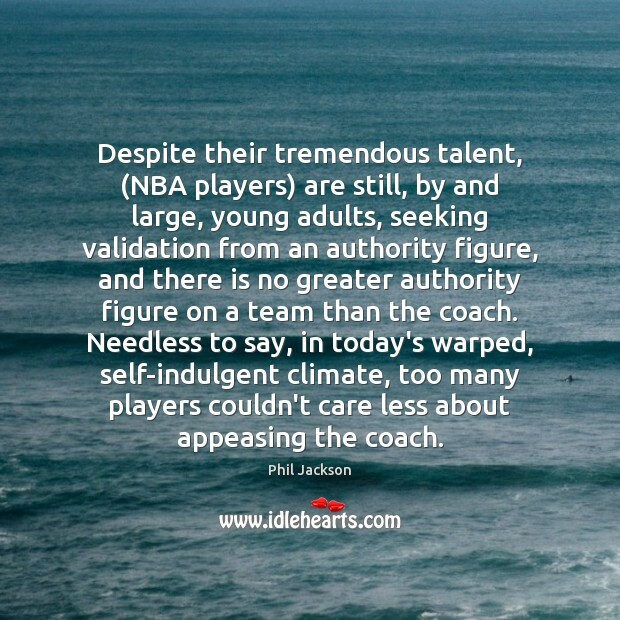 Despite their tremendous talent, (NBA players) are still, by and large, young adults, seeking validation from an authority figure, and there is no greater authority figure on a team than the coach. Needless to say, in today's warped, self-indulgent climate, too many players couldn't care less about appeasing the coach. 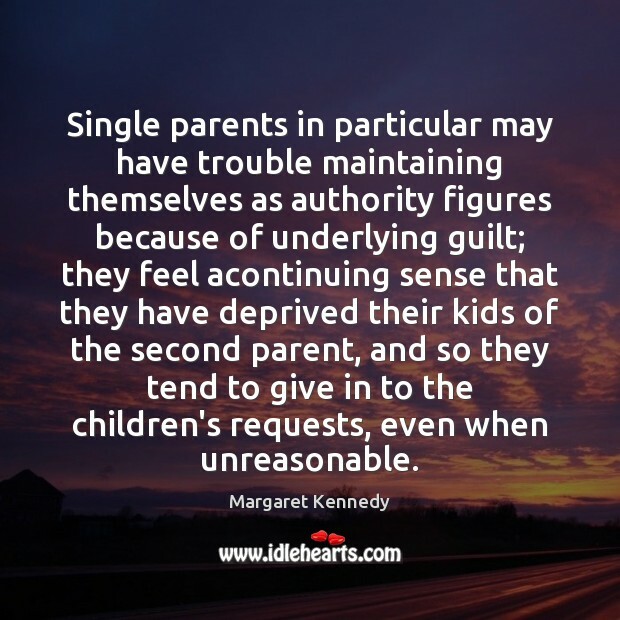 Single parents in particular may have trouble maintaining themselves as authority figures because of underlying guilt; they feel acontinuing sense that they have deprived their kids of the second parent, and so they tend to give in to the children's requests, even when unreasonable.